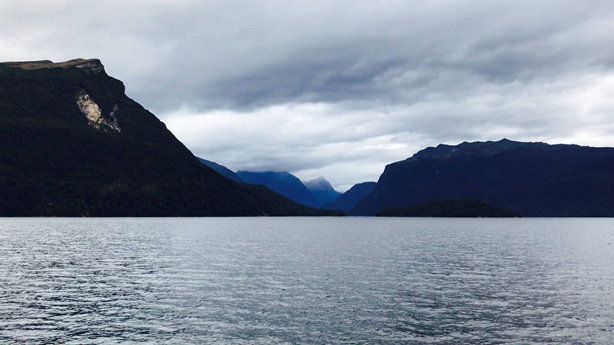 On 25th February, Team HCU embarked on an unforgettable 4 day and 3 night trek along what has been described as ‘the finest walk in the world’ from Lake Te Anau towards Milford Sound. 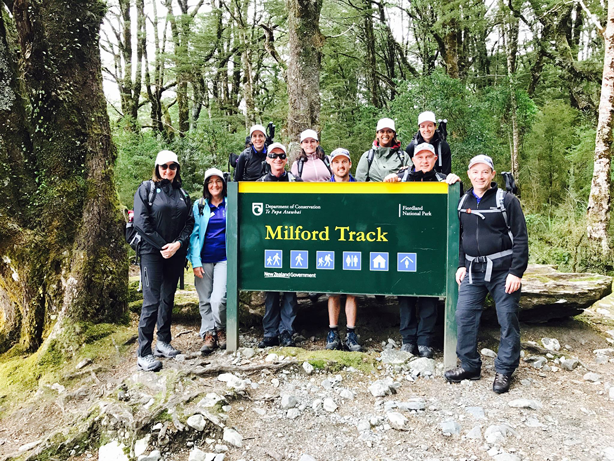 Despite the threat of relentless sandflies and the often unforgiving terrain, Team HCU completed the 4 day, 33.5 mile trek through Fiordland National Park on World Rare Disease Day. 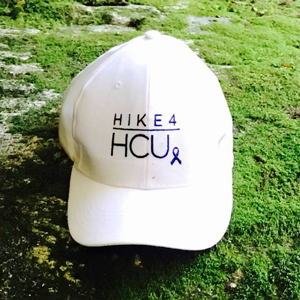 Despite blisters, bites and buckled knees our team of 10 didn’t let anything stop them from enjoying the opportunity to Hike4HCU. 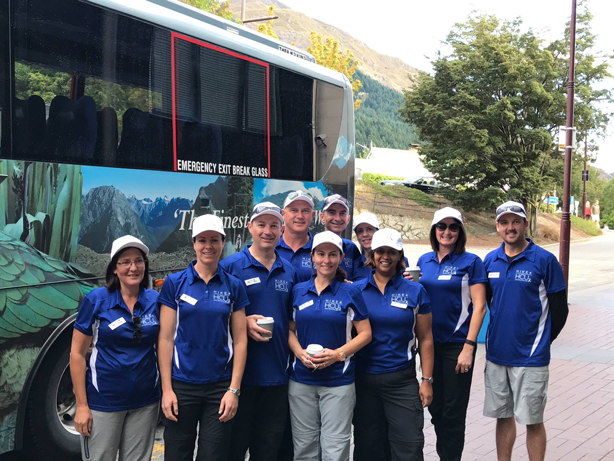 On Day 1, an eager Team HCU of budding hikers, travelled from Queenstown to Te Anau Downs where they boarded the cruise to the head of Lake Te Anau. On arrival, they were greeted by a swag of sandflies and it wasn’t long until the air was filled with citronella and DEET. 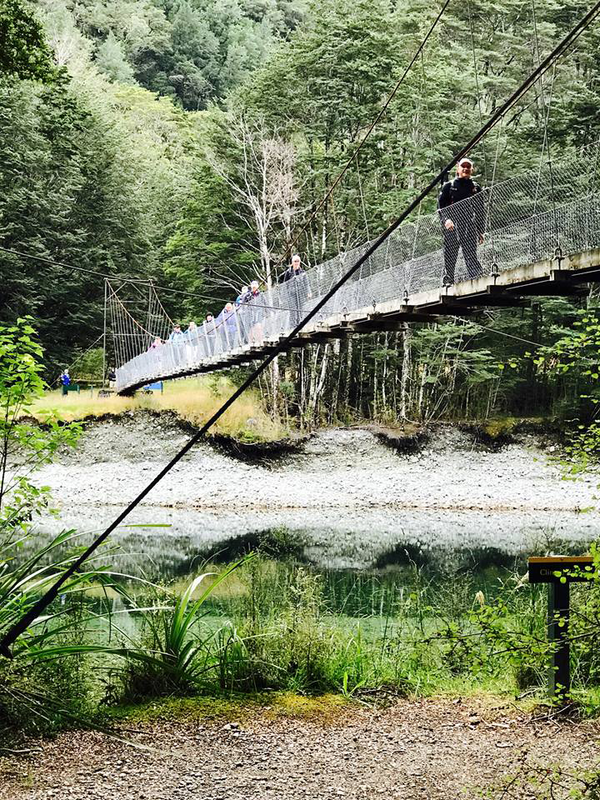 Following a leisurely walk along the jetty, Team HCU made it to Glade House where they enjoyed their first night in the New Zealand wilderness. There were no sleep ins for our budding hikers on day 2 as Team HCU were woken early to the generators starting up at 6:15am. With an early start to the day, they were eager to be the first across the suspension bridge over Clinton River. With 16kms between Team HCU and Pompolona Lodge, they were ready to get the day started. Making their way between towering rock walls, shadows of beach forest and crossing a massive landslide from the 80’s, the team chose to hydrate from the fresh running streams along the way. Following a well-deserved rest at Dead Lake, Team HCU arrived at Pompolona at a strong pace and in good time. The team were confident in their ability to set the pace for the days ahead. 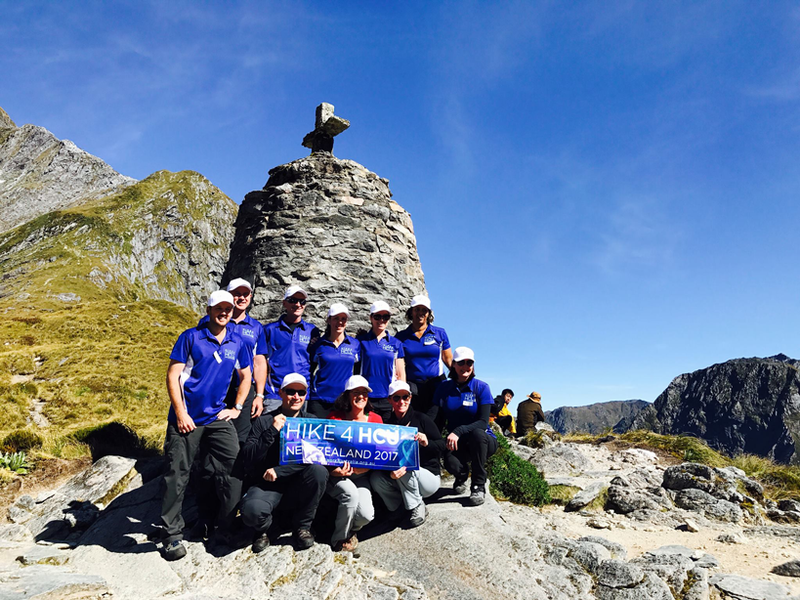 Although Team HCU were confronted with the most challenging day of the trek, the climb over Mackinnon Pass, the perfect weather conditions kept their spirits high. Day 3 saw the team trek 15kms to the highest point, 1154m above sea level. Another early morning and Team HCU were on their way before sunrise. After conquering Practice Hill, they started the first series of zig zags up the Pass. 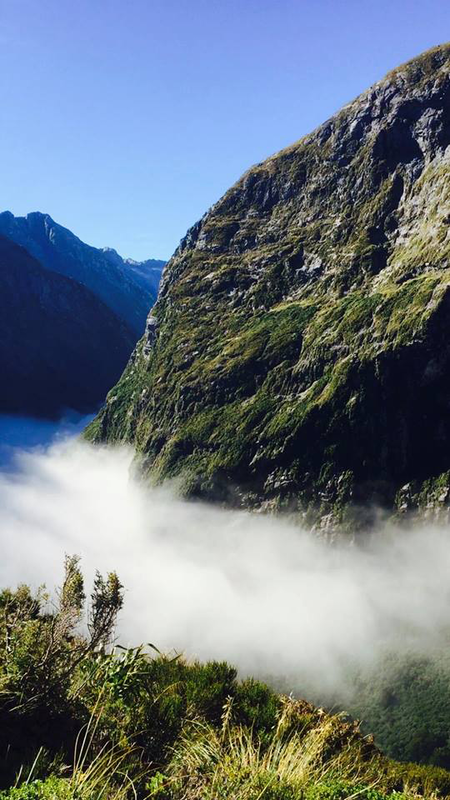 Reaching beyond the tree tops and above the clouds, the team first saw the top of Mackinnon Pass. Despite some unforgiving terrain, they continued on and pushed forward. 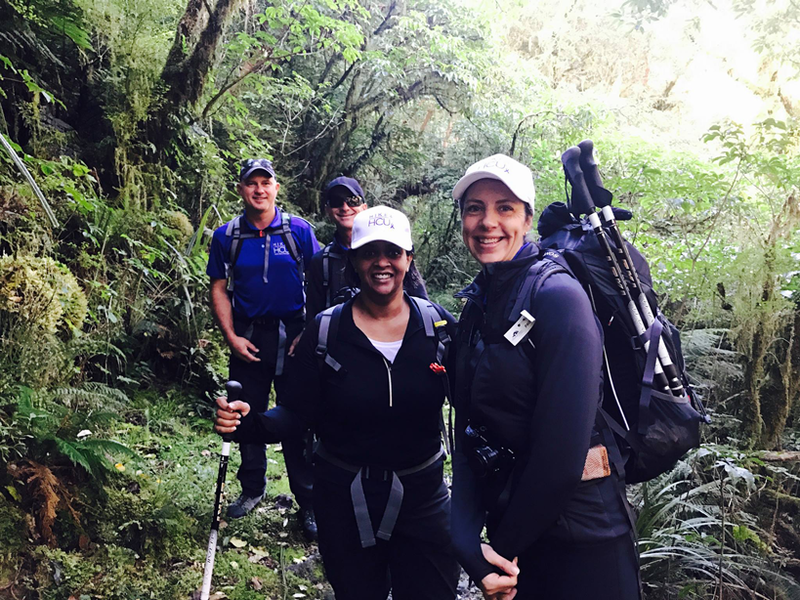 After reaching the top, Team HCU enjoyed the breathtaking views and a well-deserved rest, however soon enough it was time to lace up and begin some of the most challenging walking, the descent to Quintin Lodge. 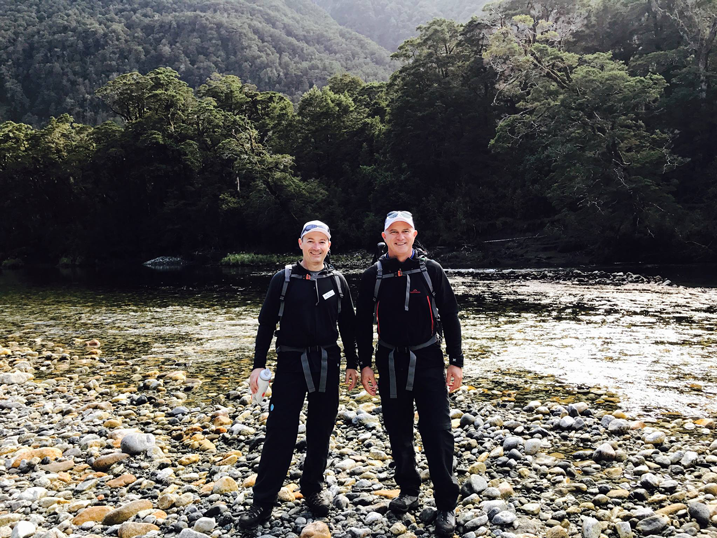 Day 4, saw only 21kms remaining between the team and Sandfly Point. 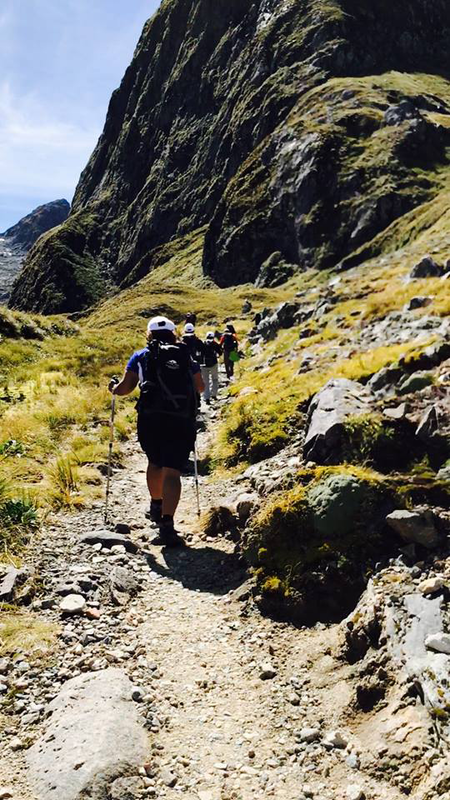 Despite the ailments of a tough Day 3, nothing was going to deter Team HCU from being first back to their boat to Mitre Peak. Expecting similar challenges to yesterday, they were delighted to find that after a short descent of a rocky hill known as Gentle Annie, the track began to flatten out. 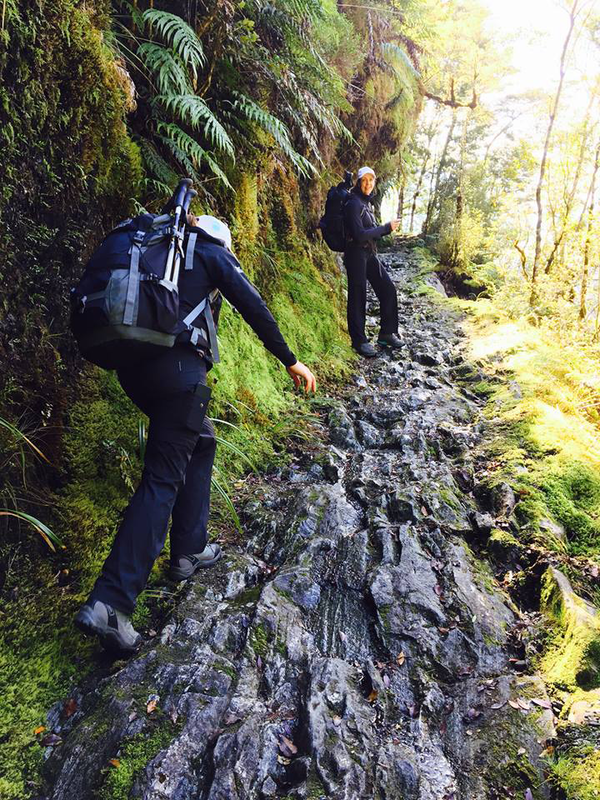 Team HCU were able to push towards the end and follow parts of a track that was carved by early convicts. 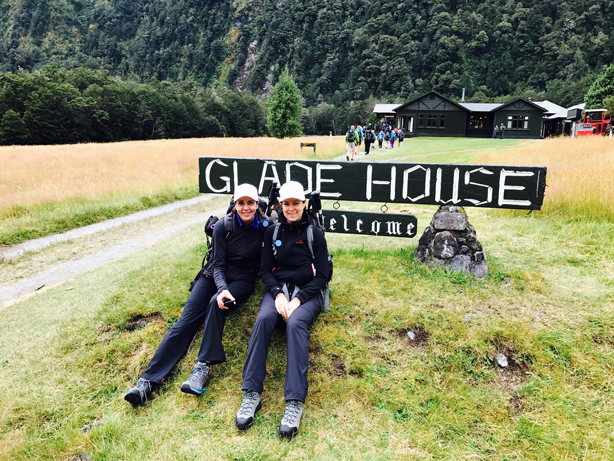 After arriving in good time to Sandfly Point they sort refuge in the shelter whilst awaiting for the boat to Mitre Peak. 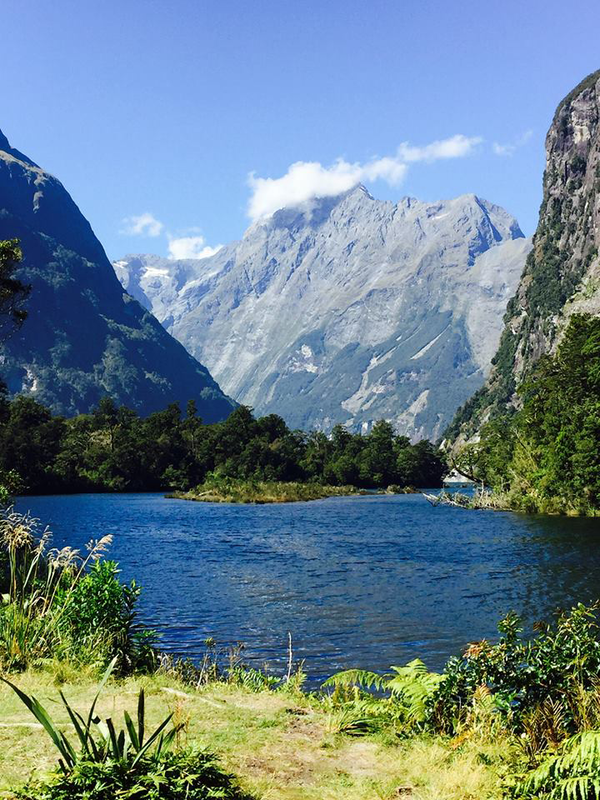 What better way to celebrate Rare Disease Day than finishing an amazing trek, with a great group of people and spectacular views! 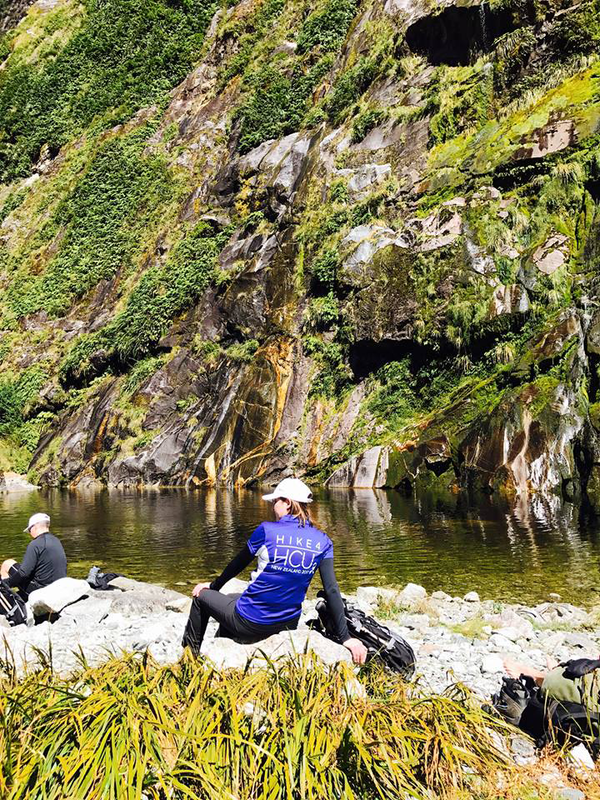 A huge shout out to Team HCU for pulling on their hiking boots and giving it their all, despite some tough conditions and some pesky sandflies. The team would like to extend their sincere gratitude to the sponsors for their continued motivation and support along the trek.